Mike Pettigrew is a bestselling author and has been a successful entrepreneur since he was a teenager. He has founded, bought, built and sold more than 15 businesses. He is widely recognized as an expert in helping ordinary people achieve extraordinary goals. Mike is also the creator of several products, courses and coaching programs that help those wanting to achieve more and live a more fulfilling life. He’s the author of The Most Powerful Goal achievement System in the World. 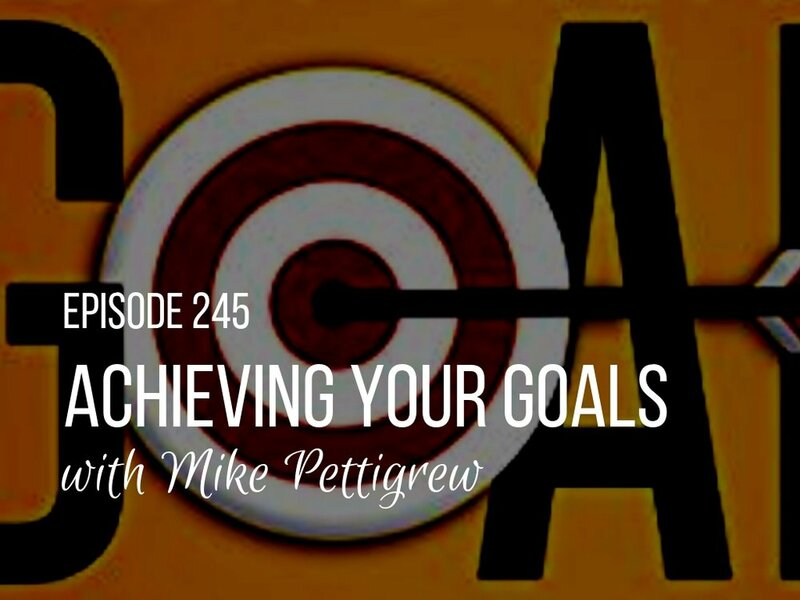 In episode 245 I’m joined with a fitting guest for the beginning of 2019 with Mr. Mike Pettigrew, an author, entrepreneur and business coach helping others set and achieve meaningful, personal and professional goals. Make this New Year the best year yet! This week on MCF. Mike is based out of a countryside in Ireland. He is a bestselling author, a highly successful entrepreneur and sought after coach. He helps ordinary people achieve extraordinary goals. Mike’s main goal of life is to “Empower People”. Mike started his first business when he was 15 years of age and his first company was established in 1987; but he reports that he was always on a financial roller coaster. He made some bad business decisions and lost it all to the point that there was not enough money for the family’s basic needs when his son was born. He remembers that to be a point in time of self-doubt, humiliation and self blame. As he calls it life’s idiosyncrasies, at his lowest point he came across a book which reminded him of the power of gratitude which he had always believed in but recently forgotten. Reminded of his belief, he vowed to change his behavior and it changed his life. Our dominant thoughts and emotions actually create the circumstances of our life. The world around us is the reflection of what is on our inside. As human beings we have the capability to change our internal state on our choosing and hence, we have the ability to change our life by changing our thoughts.